"This year, we promise to contribute the best research to our newly funded DNA project. Thank you all for your generous support. Let's all reach for a better tomorrow by using our resources we have today." Dr. R. said on TV as he won most innovative and green methods for allocating resources at his research facility. But that's what the public saw. If you were to go inside ALPHA's research facility, located in Kansas, and press a secret button on the elevator unlocked with the code 7321 to Ground floor 4B, you'd find a special research lab for plant and animal research. The animals kept here are quite dangerous; in fact, they are just as smart of humans. It's because they are. The facility has artificial, interconnecting environments set up for their experiments to stay. Right now, all the experiments are being kept in the tropical simulation area. The environments have a special type of glass set up for the scientists to observe them It is resistant to pressure, poision, fire, you name it - and it's very thick. Right now, one of the experiments, 462, was having a special experiment done. "Excellent. See how it reacts to the change in pressure as it runs on this wheel," Dr. R. said John pushed a button. Suddenly, experiment 462's fur started to press downwards as the gravity changed around it. When it stopped running, John pressed a button to shock it so it would keep going. Dr. R. was monitoring the results on is screen. "These results are perfect!" John smiled, "Nothing can outrun it. I think we should let em' undergo one special test first." "I agree. Let's feed it the pellets tonight," Dr. R. grinned. "Nyaaa, I'm bored rigt meow," Adel yawned as she looked down the the artificial leaves. There's nothing to do around here. I'm bored. She looked over to see experiment 404 by the river. Experiment 404 usually didn't talk at all to anyone, and anytime Adel tried to start a conversation he seemed reserved. All Adel wanted was to know his name. Experiment 195 was also a loner in nature, but he seemed to like relaxing and remaining calm. Adel saw him relaxing not far off. Experiment 231 was just finished getting fed by Eve. For some reason, she didn't like the food she was given today, but Eve still forced it down her throat somehow. Experiment 666 was an interesting case. He rarely emitted emotions, and Adel couldn't fathom it. She wondered if all he wanted was a friend. That's all Adel really wanted. "Wonder what everyone's thinking about, probably not about pie. I could go for some right now. Guess it's time for another nap, those docs better not wake me up soon." Apiatan shuts his eyes and lays on the grass, dreaming of puncturing giant pies with his lance. Sodi was sitting in his normal spot by the river. It was slightly shaded and it was right on the edge of the river’s source, so he didn’t have to worry about the purity of the water if he got thirsty. He shook his head, trying to clear that night from his mind for the seven hundred sixty second time. As he did, he noticed that Experiment 839 was looking at him again. She was a curious one, significantly more personable than the other experiments. She had made it a point to come talk to him almost every day, usually just after the midday meal. At first, he had tried to disappear whenever she walked over, but slowly he was growing to like her. Maybe it was the sweet smell that emanated from her periodically? Sodi looked over the other experiments, the ones he deemed “the normals.” Suddenly, he noticed 231 being force fed some food and his eyes went wide. Before he could react, a shock traveled down his spine and he bit back a cry of pain. Out of the corner of his eye, he saw the figure of John, the scientist who had taken a particular interest in Sodi, and 403 before him. “Hello there 404, guess I found you,” he said with a chuckle, using the same joke he always did. In his hand was a datapad, from which the electrical shocks originated. “Come now, you know why I’m here,” he said pulling an empty vial out from his coat pocket. Sodi sighed and took the vial, placing it within his mouth against his top right canine. With a little effort, he filled the vial about half way with a purplish-black liquid. While it might have looked like some old grape jello, the reality was that a single drop was able to paralyze a grown man. Sodi had no idea why John was so interested in it, but every few days he took a fresh sample. After filling it, John smiled down at Sodi before taking the vial. “Thanks, 404,” he said, looking into the vial. As he turned to leave, her pressed a button on the datapad and another shock coursed through Sodi, and this time he couldn’t hold back his cry of pain, bringing a maniacal laugh to the scientist. Sodi didn't just care about finding out what John had done to 403. What he really wanted was to see John in the same position he was now. Raphael felt like the world was closing around him. I have to run faster, it's my only escape! He quickly went on an adrenaline rush and forced his legs to move faster and faster, while the squeaky sound of the wheel became higher and higher pitch. No matter how hard Raphael ran, he didn't feel like he was moving anywhere. Eventually, the squeaking sound stopped, causing him to almost tripped over himself. The wheel came to an abrupt stop, indicating the experiment was over. Two separate hands grip his forearms and harshly pulled him off the wheel. Pain seared through his forearms and he almost cried out. However, he knew nobody would listen, they never did. It's the same old routine here....If only I could actually see what was happening to me. Raphael was brought back into the familiar humid climate. He could feel the artificial grass beneath his shoes and the machine-generated air blowing through his clothes. He didn't realize how hunger he had become from that experiment. Running that fast took a toll on Raphael's stomach. "Hold on just a moment, 462." A very familiar female voice called out. Raphael knew everyone by their voice or their walking habits. This voice was one voice that he dreaded to hear. He heard a loud plop on the ground as a bowl filled with pellets. "Now you eat these pellets, or you know what will happen." Eve said. Raphael could hear her get her shocking device ready. Sighing, he scanned the ground by dragging his tail and located the bowl. Picking it up, he started to eat the pellets quickly. He wasn't sure exactly what they were going to do with him this time. The pellets had a peculiar taste to them. Usually, the food was pretty bland and has the same gruff texture that dried up your mouth after every meal. However, this time, the pellets tasted like rotten eggs and Raphael almost gagged after the first bite. He gutted down the rest of the food and ran away from Eve, hoping she didn't follow him. He was already tired from the running experiment and wanted some time away from the horrid scientists. The habitat, specifically his enclosure, felt the same as usual. The others were all minding their own business. Raphael had tried before to talk or interact with them, but all of them seem to ignore him since he can't see them. He wasn't sure if they were ignoring him or thought he was mindlessly speaking. Deciding not to ponder the thought, he sat down under and artificial tree to take a break for a while. Raphael was extremely exhausted from the running wheel experiment since they made him run around his fastest speed. He also needed to stomach those pellets because if he didn't, he would have to eat them again on a different date. Rotten eggs! How in Kansas do you make meat taste like rotten eggs?! were Lyca's thoughts as the nutritionist continued to feed her. Plus the texture was awful. Lyca couldn't get it. Most days, the food was just bland and dried out your mouth. A few rare days it actually didn't taste that bad (relatively speaking). And when those good days happen, they somehow figure out how to make the next one unimaginably disgusting. "You just finished a Hyper-thermal Endurance Test, you need the protein." nutrition researcher Eve stated. "There's a reason I go for fresh meat." Lyca said. "Come now, you need to finish it." Eve pestered. "I can get my protein from less rotten meat. This one will give me stomach issues later." Lyca argued, ears erect. Lyca felt a shock through her arm. "Alright I got it. I'll finish it. Just let me take breaths between each bite." Eve nodded before returning back to the experiment on 462. Lyca stomached enough food for content from the researchers, feeling just slightly more grouchy than queasy. Thank the lab for cork implants. Extra stomach linings. She made her way over to the river for pure water. She passed by 404. "What's your test for the day? Swimming? Hiking? Gag reflex reforming?" Lyca asked. 404 gave her no response. Again. No response. Just empty staring. Lyca starts growling. This is an off day for her. Lyca walk down the river some, and found a rock to lay down on. Stupid food. The peculiar meat lingered on her tongue. The after taste is reminiscent of skunk. Someone's scratching their taste buds out later. Lyca got another sip from the river before returning to the more comfortable position on the stone. After a moment, Lyca noticed the younger cat girl nearby, walking past everyone. Man was she way too cheery. To be fair, Lyca was usually on the friendly side if not respectable end, if she wasn't just fed rotten meat. Still, that girl seemed to glow in naivety and overly-bubbly finesse. What was her number? 839? Hard to believe the research facility hit 1000 test subjects only 9 days ago. So many new members. So many new victims. And so weird, even without the experimentation. And now Lyca was grouped with what seemed like the most arbitrary numbers ever. Why couldn't she stay in last month's testing group? Lyca flicked her tail. With a yawn and stretch, she continued watching the flowing river water in silence. Zero stared out across the water towards the simulated ocean. A shimmer gave away the researchers two way mirrors. Minutes became hours. Still Zero stood. Not moving a muscle, a subtle breeze moving his coat every now and then. His red tinted glasses under his hood continued to give the only order he's had today. *Priority Order: Remain in coordinates 04/51 and stare directly NorthWest. Other subjects came and went, Zero would let his eyes drift if one would come into his peripheral... but then *ZAP... a jolt of electricity would remove any curiosity of who the others may be. Zero stood... for as long as it took. His body suffering from the heat, his eyes handled the light well due to the glasses. Suddenly the previous order faded. An incoming signal popped up and there appeared his new objective. *Priority Order: Multiple enemy testing in progress... disable all highlighted targets. Several trees in the immediate area where highlighted in his glasses. Without missing a beat the ground beneath Zero shook and movement like snakes could be seen coming from the bottom of his coat through the loose ground. Around the trunks of the trees tentacles crept up from the ground until a strong enough grip was confirmed. Then suddenly the trees began to be tipped over or pulled deeper into the ground. The glasses began to flash. An incoming signal replaced the last one. *Priority Order: Hunt down another subject and detain. Zero began to move to comply with the order. He saw several test subjects. A young cat girl had been eyeing him earlier, she would make an easy target to approach kindly then surprise. Suddenly his brain turned on. Memories and emotions came in an instant. The realization came to him for a brief moment. That they wanted him to hunt down another human. With all his strength and against the implant direction Zero removed the glasses and stepped on them. Breaking them into several pieces. *ZAP! *ZAP! *ZAP!... all the implants began electrifying every inch of his body. Zero stood for 2 minutes before all the electricity caused him to collapse and pass out. Dr. R., before leaving work, will always check on how his special experiments were doing. Many of his experiments did not survive the DNA testing, but this particular floor was full of potential. Their bodies embraced rather than rejected the DNA. He decided he would have many of the other experiences put down so he could focus on his main six. Experiment 666 was Dr. R.'s personal favorite. How he loved to mess with 666, and use it in all types of special testing. He noticed that it smashed the glasses and fell over. It also destroyed part of the artificial environment, but not enough to cause damage to the other species. "This is no good. John, we have to move 666 to the special facility again. Stimulate its levels," Dr. R. said and John agreed. "Of course boss," John said as he put his gloves on and special suit. Whenever the researchers would touch the experiments, they wore biohazard suits that were near impossible to scratch or break. It required more than one person to put on, and Walt, the intern, was usually responsible for helping the scientists get in and out. Walt was not allowed to see the research and had no idea what was going on in the experiment rooms. Experiment 666 was moved into a special room with nothing in it except the plugs they put into his body. John turned the equipment on, "It should be fine in the morning." "Excellent. I think we can close up for the night," Dr. R. said. He pulled out his cell phone. Another conference call he had to have tonight. Adel saw Experiment 231 try to talk to 404. He gave her no response. Sometimes that would happen, but Adel still always tried to talk to him. But that's why Adel has a crush on him. He's the cool, quiet, mysterious guy. Adel liked to think he had a nice, sweet, sensitive side to him that needed to come out. She was a little jealous the other girl tried to talk to him, so now was her time to shine. Adel approached experiment 404. "Hi again! Please don't disappear on me today," Adel pleaded as she sat down next to him. He stared at her, "Wanna see a cool meowgic (magic) trick?!" Without waiting for a reply. Adel took her cat tail and put it close to his eyes so he couldn't see. She changed her face from grinning to really sad. "This is how you make me feel when you don't talk. Meow, let me try this again. My name is Nyadel (Adel), and I want to know yours. It's not very mice to not make friends. I know you're not just a nyumber"
"Alright 195, wake up and get in this cage, you know the drill," John ordered Apiatan. Yawning and wiping his eyes, Apiatan get's into the cage where he's transported to the testing chambers. This time there are these giant cube shaped objects of varying sizes with moss on them and areas of tall grass along the ground. A pedestal with a button on top appears from the ceiling. You're objective is to hit that button, but while you're trying to do that, we'll see how well you do under pressure. Send out the drones!" He gave out a mischievous smile as hovering drones, mounted with guns loaded with stun pellets, came out of a giant gate. Slowly getting out of the cage, Apiatan's hair starts floating upwards as his gas surrounds him. "Climbing up there won't be an option with those drones shooting at me. So how about they help instead." He hides behind one of the cubes for cover, waiting for one of the drones to come by. He saw the shiny metal move quickly right in front of him, and at the same time, he extended one of his horns from his arm and impaled the drone and began using it as a shield. 3, 8, 14, 23. He keeps stabbing each of them and throwing them to the wall directly under where the button resides on the ceiling. Soon he had a pile of broken metal slightly bigger than he was. "This might hurt a little... almost out of stamina too." He jumped onto the pile and began igniting the gas around his palms to make the drones explode. "He can't be serious, this guy has a few screws loose if he's really doing this!" John laughs in excitement. The force of the explosion managed to get Apiatan high enough into the air, just enough for him to hit the button. The viewing glass from where John and the other scientists were also managed to shake a little, but not enough for it to crack at all. "Screw you doc...." Apiatan breaths out as he collapses onto the ground, exhausted and hurt from the pellets that managed to hit him. "Take him to the rejuvenation center. After that, take him back into his habitat and make sure he's not given any meals for the next two days as punishment for destruction of property. However, this was quite the interesting test coming from him," Still laughing as he exits the viewing room. Sodi was curious as to the insistency of this “Nyadel” and her attempts to befriend him. And as to why she changed most of her words to cat puns. It was kind of annoying. Though, it did distinguish her from the gloomy members of the simulated environment. And it reminded him of 403. Sodi sighed. He realized he wasn’t going to be getting away without saying something. Suddenly, Sodi cried out from an unexpected shock coursing through him. Adel jumped back in shock, hissing at the sight of John walking forward. Adel continued to hiss while Sodi stood, looking directly at John, raising an eyebrow as if to ask what he wants. Sodi gritted his teeth through the pain and stepped into the cage. John walked off, ignoring her, and the cage followed behind. But Adel noticed something written in the fog of the cage, the name she hadn’t quite caught from 404. John was tired of Dr. R holding him back. Dr. R always belittled John for his grand designs, resigning him to one or two experiments in each group. And they didn’t always work out, like how 403 started to reject their mutations. Luckily they had stabilized, but Dr. R had taken 404 out of John’s hands after that. But what he didn’t know wouldn’t hurt him. John led 404 through the halls out of the enclosure and over to one of the operation rooms he had reserved. 404 never said a word, which was usual. The second they were inside, John checked his datapad. Just as planned, Sodi’s location still appeared inside the habitat, despite that not being the case. Of course, being the creator of the locator chips and their programing, John could manipulate the information at whim. Though, he tried not to too often; he didn’t want to look too suspicious. John opened the cage and pointed to the table, holding the datapad in his other hand. “Come now, don’t make me shock you again.” For once, he didn’t want to indulge in the pain of the boy felt. Or, he did, he just didn’t have the time for it. 404 made his way slowly over to the table and laid down. Immediately, straps popped around his arms, legs, and waist, holding him down. While John was rambling, he had gone about the procedure, not bothering to even try to use anesthesia, as he knew the effects would be wasted on 404. 404, meanwhile, was screaming loudly as the procedure, and subsequent body adaptations, which usually took a few days to fully appear, began to take place. No one in the facility, however, was able to hear the sounds, even if they were walking through the hall outside, due to the sound cancelling technology built into the walls and door. Once the procedure concluded, John slipped the now unconscious 404 back into the habitat before going off for his late night meal. Walt was freaking out. He was such an idiot. To be fair, it wasn’t ENTIRELY his fault. Dr. R had been pushing hi for days on end with hardly any break; he was bound to slip up eventually. Luckily, no one had noticed his slip up, and, if he acted quickly, no one would notice the DNA strands he had mislabeled. Plus, it wasn’t even THAT bad of a slip up. Only two species that, according to the records, weren’t going to be used for another few months at the earliest. If he was lucky, Dr. R would never find out about this, and maybe he might actually let him work on one of the various experiments he had going. All he had done for a month was buy coffee! But he couldn’t worry about that now, he had to finish relabeling the Myxini Hagfish and Electrophorus Electricus DNA before he could worry about anything else. A thick dense fog covered the unknown abyss as a girl skipped into sight. She had silvery, long hair that rhythmic hit her shoulders with every bounce. A wreath of elegant white flowers adorned her head. She quickly made her way to Raphael, smiling, and said "I think those cute little ears and spotted tail suit you, Raph." She smiled as she ruffled his hair. The mysterious girl wasn't too much taller than Raphael, so it was quite a stretch to reach the top of his head. Her eyes burned a deep emerald green as she looked directly at Raphael. Raphael cocked his head in curiosity as his eyes focused at the girl through the fog. He didn't recognize her from any of his memories or dreams, "Do..do I know you?" Another smaller figure seemed to move in the wisps of the fog, but far enough for Raphael not to be able to distinguished the person. He thought he heard a faint, "Where...are...you..." but Raphael wasn't too sure. Everything in his head was spinning. "Know me? Of course you do! Don't tell me you have forgotten already." She put a finger up to her lips and blinked her eyes rapidly. "I'm...."
Raphael was rudely awakened by the sound of the large habitat door swinging open and slamming shut. He yawned, sat up, and rubbed his sightless eyes. Just a dream...and a really bizarre one! Angling his round ears to get a grip on what happened, he assumed that one of the others just had an experiment done on them....or was heading out for one. Entering and exiting the exhibit sounded all the same to him. From the rhythmic sound of stomping, just like a deer would do in the woods, he guessed 195 was the next victim to this living hell. Standing up and stretching his arms, Raphael decided to once again try to talk 195. He felt much better after that small nap. 195 seemed to be a loner from what Raphael gathered, like a few of the others. The 'loners' usually hanged out a distance from everyone else in the habitat and didn't linger long when they encountered another experiment. Raphael was particularly afraid of one of the loners, 666, since he never could tell when they were coming. Their movement and rhythm was much quieter and harder to distinct. Yawning, Raphael picked up a nearby stick. It was synthesized wood made to feel like real wood, but was easy to tell it was fake since it was a lot lighter. He poked at the ground to figure out where exactly he collapsed. Nearby, he could hear the sound of running water, so he guessed he was by the river in the center of the exhibit. He could hear one of the others rambling off about magic and meows, so he guessed it was the other feline experiment, 839. She was quite bubbly when she talked and was always friendly; something this place needed desperately. He also heard the gruff, irritable voice of John, so Ralph headed in the opposite direction. He lifted his tail up once he entered the forested off part of the exhibit. He didn't want to get it full of dirt or that other slippery solution that scientists substituted as 'mud'. Raphael touched each of the plastic trees to help guide him, along with the stick, in the direction he thought 195 was. He stopped after smelling the bitter paste they placed on the experiments to help them heal, but in truth, everyone knew that the sticky, bitter stuff never really helped. Leaning on his stick, he finally blurted out, "Well, what did they do to you now?" Raphael could hear the noise of the fake grass being crushed as 195 was startled. "Did I startle you? I didn't mean to..I mean just because I can't see you doesn't mean I don't know you exist...." His voice trailed off. Still by the river, Lyca dragged a stick in a dirt patch. The synthetic wood dragged more or less smoothly through the ground. Some lines were swirls. Others were more like scratch marks. The tip broke and Lyca threw it across the water. "Stupid stick." Lyca muttered to herself. She should be grateful. It wasn't her turn yet for the next experiment. Her ears twitched with each conversation she picked up. Even when her mind was on autopilot, her senses still picked up and processed all actions around her. Even the habitat doors when more often than not were acting as white noise. Just because the other people were more than thirty feet away didn't mean Lyca couldn't hear. "Yep still can hear those cat puns." Lyca chuckled, thinking about the girl several yards away. It seems most of the other experiments today kept to there usual turfs but some were wandering. Or moving along with doctors for more torture. Heh. Torture. There should be a stronger word for it. Too bad they didn't have access to the closest library. Could try to find one. There would be so many other materials more favorable to borrow true, but even that little bit would be nice. Would still be outside. Actually, Lyca hadn't thought about that for over a week now. Not like it mattered too much if she did or not. One of the perks of being a different style of experiment: no shocks from thinking. Good or bad thoughts. She's a special case that missed that lovely upgrade in standards in technology. For now. Lyca stood up to start walking. No real destination in mind other than meandering around the other test subjects. The room was cold and sterile; the smell of bleach invaded Zero’s nostrils. His inhibitors controlled his disdain for the smell yet his brain still registered the unpleasantness. The complete darkness was a comfort to Zero, whose eyes enjoyed any recreation of his deep lightless underworld of the ocean. The chair he was strapped to was a contraption of straps and clamps. Each of his unnatural limbs hung above him, locked in place to make escape all that more difficult. His arms locked down and legs restrained, pretty much the only free part of him was his eyes which could slowly look left and right as the time passed. Suddenly the door opened and with it an unpleasant amount of fluorescent light was activated and his once dark room became a spectacle of light. Dr. R sauntered in with a steel cart full of tools and a smile on his face. He stooped down inches from Zero’s face and gave a grin which indicated nothing good was to come. “How are we feeling today?” he said with a fake sign of compassion. Now DR. R performed his favorite part since Zero wasn’t allowed to speak back, his inhibitors wouldn’t let him. Dr. R would reply to his own questions in a ridiculous voice as if to mock Zero and fulfill his megalomania. “I don’t like being stuck in this chair Dr. Awesome… not at all.” Dr.R squeaked out. The inhibitors could not keep up after 5 minutes of Dr. R pushing down as hard as he could to make the screws go into bone. The room began to fill with the sound of screams of agony from Zero. Dr. R smiled from this of course and tried to keep blood from getting in his mouth. “Scream my deadman, I have new orders” He spoke softly into Zeros ears before resuming the operation. "Wow #111, that was an excellent performance in there! The way your blood just melted through those blades were awesome! Not to mention my scalpel! Actually, I hope I won't have to pay for that. Anyway, I really hope that we're able to work together again sometime. Ah, just imagine what blood like yours could do on a battlefield! People would be afraid to kill each other! It's really amazing, all the different possibilities that come from the research being done here-"
Caspian silenced the young intern (commonly called Frank) by grabbing his collar and slamming him against the facility's wall. Given Caspian's rather surprising strength, it's a blessing that they weren't near one of the glass windows looking into test subject "housing", or else he might have breached the barrier between the artificial world and the real one. "Listen, kid. If one more God-forsaken word comes pouring out of your naive, energetic, stupid lips, I will not think twice about spilling your blood with a few blades." Frank shook and stuttered in fear, wanting to defend himself but not wanting to witness Caspian's rage. Caspian was uncomfortably close to Frank's face now, close enough to see every single pore on the poor acne-ridden boy. "Ah, you're scared right now, are you? I can smell it. Frank had no response to this other than to nervously shake and blubber out something unintelligible. Caspian held his gaze directly into Frank's eyes for another few seconds as the poor boy struggled to avoid Caspian's haunting gaze. Caspian's grip on Frank's collar grew ever tighter, and Frank was sure his life was coming to an end if his collar kept getting tighter on his neck. That is, until Caspian burst out laughing, and let the boy go. It was maniacal laughter, the kind that belonged in a mental asylum. Frank laughed awkwardly, not sure why Caspian let him go nor why he was laughing so hysterically. "I can smell it!" Caspian managed to get out, before continuing to chuckle. "S.... Sm-smell what?" asked Frank, rubbing his hand across his neck. "The pee dripping down your leg, moron." Frank looked down to confirm his claims, and it was true. He had totally wet himself. "Go get cleaned up, you're even more nauseating than usual." Frank nodded, more embarrassed beyond his wildest dreams. He started to walk off, however he remembered his original reason for speaking to Caspian. "Oh, uh, 111. I was told that you were to be transferred to then housing area at end of the hall." "Is that the one with the tentacle dude and the cat chick?" Frank nodded and hurried off. "Kid, make sure I get a nice steak dinner tonight, not any of that pellet crap!" Caspian called after the smelly intern. He suspected that the kid might not be around here much longer. Making his way to the end of the hall as instructed, he allowed himself in using the card he swept off of Frank while the poor kid was praying to the holy trinity. The security guard asked where the intern was nonchalantly, to which Caspian replied that the fellow had a bathroom emergency. Seeing as she was not being paid nearly enough to deal with blind speedsters, human chameleons and silent squid-men, the security guard waved Caspian in without a second thought. Because of this, however, she did not see that Caspian had hidden Frank's security card. Caspian, you see, was a fan of the long game. While he would play along with Dr. R, John, Eve, Walt, and all the other pathetic fools in this wretched place for now, he did plan on busting out from their experiments someday, if only to seize power for himself. Who knows what wonderful experiments he could conduct? He was always a fan of sharp things. Caspian stepped into his new environment. What he saw was... nothing extraordinary. Another basic forest environment with fake trees, a trickling river and extremely bored inhabitants. The most attractive one in there was swinging a stick around, and he could unfortunately hear the squeaky cat girl in the distance, a noise he always tried to block out whenever possible. For now, Caspian elected to study his new locale, and see if there was anything he could exploit whether not or later. The operation on experiment 666 was a success. After the bloody torture, 666 was returned to the habitat with instructions for Eve on a new special diet to give him. It was then that Dr. R. noticed their newest arrival - experiment 111, had just arrived without the preparations he had arranged. "Now, we can't have this," he said as he pressed a button for security guards dressed in biohazard uniforms saw him and seized him. They dragged experiment 111 to a chamber, and called for John, who had came back from his break. They stepped 111 down to the chair and took out equipment. "I see its new to this floor. Welcome, 111," Dr. R. grinned, "I want you to know that this isn't an ordinary floor-" he said as he channeled a shock through 111, "Here, we know what we are doing and we do it well." "Shall I do the operation?" John asked as he held some sharp tools. "Of course. It's our welcome present to all experiments on this floor," he said. John did an operation to put a microchip into 111. At this facility, every experiment on the floor had a microchip wedged down into a vein in the arm, but it wasn't big enough to disrupt any blood flow. It was put there to prevent any of the experiments from taking it out without heavy blood loss repercussions. The chip was used to monitor other things such as heartrate and blood pressure as well. "That's so we can track it. And tonight, Eve will feed it a new diet," Dr. R. looked down at his clipboard, "111 has very high toxin levels. I don't want to dull those - instead, enhance them with this formula. And it can smell far away. This is the ability I want to study more, and so I will make preparations to make a test for it." "Oh, by the way, My name is Dr. R. Welcome, my newest pet!" Later that evening, Eve returned 111 to the habitat. Dr. R. got on his laptop for the conference call that was going to happen at 11:00pm. He looked at his vibrating cell phone, saw the name that was calling him, and instantly rejected it. "She'll leave me alone about him one day," Dr. R. muttered. He put on his headset as the conference call began. "Well, I was wondering when you'd drop into the call, Blake!" a deep voice said, "hey, hey, don't worry about it, I know how busy you are with your experiments." "Listen, you know what I want. So I want you to give it to me soon," Dr. R. was unamused. "Oh, Blake, don't rush ahead of me! We're getting to that. I assure you, it's okay! I'd like you to check your e-mail right now. I sent you a very important set of instructions!" Dr. R. clicked on the e-mail that was sent to him. He read the directions very carefully. "Are you really sure it's okay for me to take these?" "ABSOLUTELY! The red labeled ones are for you, but make sure you give the blue ones to it." "I will. Thanks. So, when will you let me have it back?" "Not until you fulfill my instructions in the e-mail! Bye bye, Blake!" "What?!" Dr. R. said, but he hung up. Adel's heart fluttered. Sodi~nya. That's his name! But why did John have to take him for a special experiment? It just wasn't fair! All she wanted was to talk to him more. She saw the other cute boy in the facility - experiment 462 - wander over to experiment 195. She always admired him because he was a feline as well, and she felt bad for all of the speed experiments he had to go through. But he was super charming, and Adel would approach him, but he seemed busy talking to the other boy. Maybe if things didn't work out with Sodi, she could always go for him! She was humming along when she accidently bumped into experiment 231. She looked up at the taller, older girl. She was jealous at how much taller and prettier she was. What if she were to steal one of her crushes? The thought was unbearable! "Listen up!" Adel started, "I know your older, but I'm telling mew (you), mew (you) may think your my competition, but I'm cuter than mew (you), nya! And I'll prove it, nya!" Adel hissed. "Well, what did they do to you now?" Raphael could hear the noise of the fake grass being crushed as 195 was startled. "Did I startle you? I didn't mean to..I mean just because I can't see you doesn't mean I don't know you exist...." His voice trailed off. "Oh it's just you. They sent a bunch of drones after me, those pellets had quite the shock. Still had a blast though, quite literally too." Letting out a little laugh as he sits up next to the river. "Oh by the way, the name's Apiatan. You can call me App. So what's your's?" He asks as he washes off the pale, blue paste off his skin and patches of fur.
" It's Raphael. You seem pretty calm despite the beating you took, I'm surprised you're still conscious after all that." The gate opens up with someone Apiatan doesn't recognize. A muscular looking guy with a bear-like scratch over his eye stands in front of the opened gate, gazing over the housing area. "That guy over there spells trouble, something about him doesn't seem right. Raph, keep his scent in mind, don't get involved with him." Not too long after, guys in biohazard suits took him back out the gate. "What makes you say that? He seems like everyone else who steps into this place, besides 666." Wondering about the man App saw as he "looks" at the water below with his empty looking eyes. "Hard to explain, but my fur stands on end just by looking at him. Guess I'll have to go back to training again, just like the old days. Hey Raph, if you want to talk to me again, I'll be by that rocky area. Just follow the river upstream." He slowly get's up, patting away the dirt off his fur, and then walks off to the fake red mountain-like area, picking up stacks of plastic branches and bark from the ground. Knowing the inevitable will happen, he is now filled with a new sort of determination as he strides to his destination. Before, it had mostly been peaceful despite all the experiments done on them all. Now with a new player on the field, he feels that some sort of chaos will ensue. Fearing for the safety of his newfound friend and the other experiments, he knows he'll have to be prepared for what happens soon. After the DNA implantation, Sodi was deposited back into the environment ungracefully. Rather than limp his way back to his normal location, he decided to hide in the tall grass near the south eastern corner of the enclosure. It was a little bit cooler than the rest of the environment, and, when coupled with his camouflage ability, made an excellent hiding spot. Well, it was good unless one had the ability to track him through a implanted locator chip in his left arm. But otherwise, the best hiding spot in the enclosure. As such, this is where Sodi tried to nap and recover from whatever it was John had done to him. Perhaps it was just his luck that Experiment 666 stepped on him right as Sodi had started to fall asleep. “UFF!! !” Sodi said as 666 pushed off him. 666 looked back at Sodi but said nothing. He wordlessly turned back to continue on his way. “H-hey, freak! Watch where you-“ Sodi began to call after him. However, after Sodi said “freak,” 666 turned and savagely reached forward, grabbing Sodi by the neck and lifting him off the ground. Sodi was gasping for air and tried to pull 666’s hand off of him. Then, he noticed words flashing over 666’s visor. “Don’t call me that,” 666 replied. Suddenly, a shock began to course through 666. However, because of their contact, it also traveled through Sodi. But rather than the pain that Sodi normally felt, the current just seemed to pass through him, being amplified before returning back into 666’s arm. Conveniently, the amplified shock reentered 666 right where one of his implants was located, causing it to short circuit. At once, 666 dropped Sodi, clutched his face, and fell to the ground, a roar of pain and anguish ringing out and reverberating across the enclosure. Partially out of fear of what 666 had done and what he might do, Sodi quickly clambered to his feet and ran as fast and as far as his legs would carry him. Wanting to get a grasps on the habits of the newcomer, Raphael decided to get close, but not too close to the new experiment. From what he gathered from the chomping of leaves and grass, this experiment is heavy on the steps, just like large bear. They also seem to emit a hostile sense around them, as Raphael can pick up a few of the others fear scents. He was about to move to higher ground when something rams into him and he topples on the forested ground. Blood rushed to Raphael's head as he tries to sit up and figure out what happened. He heard panting and felt the pounding of a heartbeat right out of someone's chest. "Are you all right?" Raphael brushed some of the dust off his tail. "You were quite in a hurry." He couldn't tell exactly which experiment it was. "Uh...yea.." a quiet voice answered back. "I..I'm sorry." "Don't worry about it." Raphael said, standing up. "You were running quite fast. That's something we'd all do if given the chance to escape this place. I, of all, would know the best." Raphael did a small wave and went on his way. He decided not to provoke the others, especially one that was already spooked. He made his way to craggier part of the enclosure, to continue spying on the new experiment. He parked himself on a large rock that jutted out over a path. "....Are you there..... Raph...ael?" A voice seemed to enter in his head. Raphael's fur stood on edge. "Please....help..." The voice seemed to come in waves, some stronger than others. He wondered if any of the others could hear it as well. Its the same one from my dream..
"Who..who are you?" Raphael felt like an idiot for answering. "You..you responded?! Raph...it's me...your.." There was a pause. "My what?" Raphael said quite loudly. He tried to recall everyone he knew. He didn't remember much of his family due to him being taken at such a young age and being blind. He only vaguely remember the caring touch of his mother and the rough laughter of his father. He didn't even remember if he had any siblings. Someone, somewhere in this facility knows him, and that's all he knew. "I'm not on your floor...but through my ability of sonar..." the voice trailed off and didn't return. Something was happening, but Raphael could not tell what. He twitched his tail in anticipation, forgetting all about the new experiment. The pain was amazing, pure bliss could be witnessed across Zero's face while his whole body electrified and burned. Whatever 404 did, whatever trick that refocused the field and caused his right arm circuit node to explode like that was nothing less than a miracle to Zero. Zero laughed maniacally as he watched 404 run away fearing the worse. Zero thought to himself. "He runs in fear, he doesn't know how indebted I am to him." Zero began to slowly rise, memories rushing to him, he was gathering the pieces of the puzzle but the other inhibitors still made it to difficult. Zero screamed out a number during his maniacal laugh that to others might sound like some code /warning or threat. "Twelve"
The number is the remaining inhibitors left inside of Zero... two down, 12 to go. Dr. R's voice rang out suddenly. "Scream my deadman." Zero heard it and was confused for a moment, he didn't see Dr. R but his voice echoed... suddenly everything went white and Zero felt himself fall. Zero awakened in what seemed to be a very decked out limousine. In front of him Dr. R sat smiling, but he was faint, like a ghost. Zero was in the farthest back seat from the driver. The vehicle was stopped and Zero heard the sounds of muffled screams. At this point Zero realized he had his tendrils holding all the doors shut and blocked and felt pulling on them even though he saw nothing touching them. Dr. R just smiled, then slowly opened his mouth. "Kill them all 666... every last one of them." "I won't let you turn me into a weapon." With that a frenzy of tentacles shook and rocked the limo, breaking glass, walls, everything. By the time Zero was done with his frenzy most the vehicle looked like a heap of junk coated in fresh blood and sinew. Suddenly everything began to flash white again, the world was spinning. Then the sound of an unlocking door could be heard. Zero turned to see Dr. R peering inside the torn up limo. How could he be outside when he was just here... Dr. R nodded his head approvingly before speaking. "Well well well, you made short work of them, they won't be delaying my research with there ethics anymore now will they. Come my deadman." Zero's screen was full of orders once again, his body scooted out of the limo and began to stand all on its own, before all control was lost Zero looked into the wreckage. The bodies of a family could be seen strewn about. A father, mother and two children... Zero had just murdered them all. Zero spoke with a shaky tone looking down at the blood dripping from his hands. "You... you made me a murderer... a mo... mons... Monster." Zero collapsed with everything fading to white. Dr. R bent over and laughed before speaking one last time. "This isn't your first rodeo... you're already in double digits." Zero awoke in a small stream, his body was clean of blood but he could still recall some of what transpired. His screen began to light up but Zero quickly located the first rock he could and bashed his face against it breaking the screen into pieces before passing out as his inhibitors began to electrify him. Caspian had just started to step into his bright new world when he felt that he could no longer move. In fact, his feet were no longer touching the ground. He looked to his sides, and two heavy set men in hazmat suits were carrying him away. The security in this sector was a lot more meticulous compared to what he'd been used to. This pleased him, it kept things from being too boring. The guards seemed afraid of him, as Caspian kept sniffling as if he was going to sneeze. He wasn't, but it was fun to watch the worried reaction on the guard's faces. They must've heard about what his bodily fluids do the human body. The guards quickly strapped him down on a chair, which Caspian did not resist. This was normal procedure, and the last few times this happened he was given amazing powers. A nasally, sickening voice rang over the intercom, which Caspian didn't really listen to. A voice with clear evidence of a very clogged nose could only belong to someone who is so busy torturing people that he can't find the time to blow his nose, so Caspian took a leap and assumed that this must be Dr. R.
"Time for my checkup already, doctor?" he called out. Just then searing pain coursed through Caspian's body, it seems that the scientists had reverted to using shock therapy again. While Caspian tended to enjoy most pain, something about volts traveling throughout his body really made him upset. "Ah, I guess you want me to floss next time." Caspian called out again, weaker this time. Dr. R's reputation of a mad scientist was well deserved, it seemed. A fruity, squirrelly scientist walked in. Since he was taking orders directly from Dr. R, Caspian assumed that this must be the good doctor's right hand man. To his knowledge, this years model was called John. Almost robotically, the kid asked Dr. R if he could perform the procedure. Of course you can perform the procedure, idiot. Caspian thought, a clear look of irritation on his face. Why else would he send you in here, besides snot having to look at your peach fuzz facial hair anymore. John came over and began to perform the procedure, which involved a tiny microchip. While the procedure itself was very painful, Caspian kept his eyes locked onto John's face the entire time, analyzing every pore and acne scar. He was trying to make John uncomfortable, which he seemed to be succeeding at. The fellow wasn't wearing any protective gear, and his shirt was untucked. He must've been late for his procedure, which surprised Caspian, because it showed that John might be capable of complex thought. John was sowing up the stitches when Caspian hocked up the phlegm in his throat. It was very gross, but it the results if that phlegm ended up anywhere on John's person, especially his face, would be a lot grosser. John paused for a moment in fear, and for the first time locked eyes with Caspian. The dilated pupils, the small beads of sweat, the shaky hands all suggested that John was scared out of his mind. Caspian decided to spare the man today, instead giving him a devilish smile, tilting his head as if to suggest "I hold the real power here." He swallowed the phlegm instead (which is also gross, but ultimately the better alternative) and John finished his work. Dr. R rambled on about some new diet, which was disappointing because Caspian was really looking forward to that steak. He was dropped back off into the new habitat by the same guards that had picked him up. On his way out of the experimentation room, he saw a janitor crew. They must have been prepared for the chance of things getting messy. How cute! Lyca looked at the girl, and just quietly stated, "that's a lot of mews. You seem very overly excited today, little kitten." Adel hissed at the girl and stuck her nose up and tail in the air. She crawled away from her, finding a nice, warm patch of grass to take a little cat nap. Oh, she makes me so angry, but I swear that I'll beat her! She closed her eyes, and soon found herself in one of her dreams. Adel was walking in a colorful forest in her dreams. She looked down to see she was wearing a pink, flluffy dress. I'm like a princess nya! "Come here, kitty kitty....your next!" John said as he suddenly slashed at her in her dream, "I ruined your friend, and now it's time for you to die on our dissection table as well! I will take your heart....so you can never love again!" "No!!" Adel gasped, but then a Sodi blocked it for her by grabbing John's arm and pushing him backwards. "She's mine," dream Sodi said, and he bit John. He disappeared in thin air, and then Sodi went over to Adel, "are you okay?" The dream Sodi was all dressed up like a prince. "Sodnya!" Adel hugged the dream Sodi, "my hero! I was pawsative mew'd (positive you'd) come to save mew (me)!" "Yeah. I....." Sodi looked down, turning red, "I....h-have a-a c-confession..."
"Nya? What is it?" Adel asked the dream Sodi. "I'm really a prince from a f-faraway land...and we are destined to be together!" Sodi knelt down and grabbed Adel's hand, "I-I a-am q-quiet, but my feelings...are here," he put his hand on his chest, "I love you, Adel!" "Meow! I love mew, (you) too!" Adel gave the dream Sodi another big hug. She wished she could remain in this dream forever! "I promise...to always protect you," the drea Sodi whispered in her ear, and leaned in for a kiss. Adel closed her eyes, ready for her big moment. But of course, this is the part where the dream always gets interrupted! Adel felt a pain around her whole body...she was shocked, opening her eyes, to find that she was in Dr. R's testing room. "It's woken up. Good," Dr. R. looked at his clipboard, "Eve, didn't you hear it say something about love?" "Yes, I did," Eve grimaced, "nothing is going on between any of our experiments, is it?" "Not that I know of. We'll make special arrangements for this one at a later date regarding that. Let us just continue with this operation as planned," Dr. R. looked at the e-mail on his phone. He grabbed a jar with pills with a blue label on it. He took one out and handed it to Eve, "give this to it." "Right," Eve said as she approached the catgirl. 'I'm not eating that! It's not fish!" Adel stuck her tongue out, but Eve just grabbed her by her throat and shoved it down. It was bitter. "Let us begin. It has very flexible reflexes, just like a cat. We have a special test for it," Dr. R. grinned as he clapped. They brought in a giant tiger. "If it wants to survive, it will be able to pass through our obstacle course with this chasing it." Adel's tail suddenly fell to the ground upon taking the pill. Nothing mattered anymore...she couldn't taste Sodi's sweet kiss. For some reasons, her senses were clouded. She could hardly heart anything. Her vision was tunneled. Her heart rate dropped dramatically. And now she had to run away from a tiger. Adel's body was exhausted after all the hoops, leaps, and bounds she had to go. Periodically throughout the test, she was slowed, shocked, burned, and scratched. She nearly trip, and had a big cut on her knee. She felt like they were using her for some reason. "Excellent. Better results than planned," Dr. R. said as he approached the now-exhausted Adel. He didn't do anything except pull a strand of her hair. 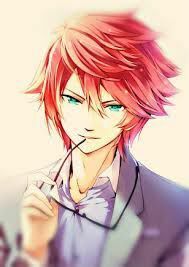 "Hey...." Adel's voice lowered, "Can I drink some of those chemicals.." Adel reached for them, and Eve pulled her away. She threw Adel back into the habitat. Nothing mattered anymore. She was simply a test subject to be studied. There wasn't any joy for her to find here. No happiness. Her life was dedicated for science. Adel looked down, the twinkle in her eye completely gone. She tuned out everything around her. She was thinking about the best way to commit suicide. If she could just melt away, then she would be freed from all this torture. The blood from the cut on her knee just bled onto the artificial grass. A secretary sits at dentist office. They pick up their cell phone, and dial a number by heart. "I'm telling you, just stop trying," one of the secretaries next to them says. "I will save him.." the secretary looks down, "I'm getting ready to take it to court. I finally saved enough money to afford a good lawyer." "Well, that's good to hear, you were struggling to meet ends meet a few years ago! But that's hard to do while raising a family, especially at such a young age. Your only 36, you could still get a degree y'know! " A response. This was the moment she's been waiting for! "Tell me where he is now!" She yelled into the phone. "Hey Mary! It's not who you think it is..I tapped into this line! Surprise!" a voice on the other end chuckled. "Who are you?! Do you work for ALPHA? Please, I am just looking for someone!" "Relax, Mary. I can tell you exactly where the one your looking for is. He isn't where you think he is. But information comes at a price. I will send you an e-mail with exact instructions on where to meet and trade." Within the mountain-like region, App has been practicing ways on how to manipulate the methane that his body produces and igniting this gas into streams of spectacular works of fire, for both defense and offense. While trying to preserve his stamina, he moves in short, quick movements that doesn't utilize too much effort. Each step he takes allows him to propel himself towards his stick dummies, that he made from the collected branches and bark, and stab them with his various horns. Only problem was that he couldn't practice long without having eaten anything for who knows how long. App just realized this may have been punishment for breaking those docs' new toys. He's gonna starve to death soon if they don't feed him. And just on cue, Eve finally showed up with something in her bag. "Strange how you come out here all of a sudden and with such a high heart rate, you're really making my job harder. I hope you're not planning on escaping." As she sighs, obviously annoyed with the whole inconvenience. She throws a handful of pills and orders App to immediately eat them. He doesn't care how little this bit of food is or how tasteless they are, he just needs to ease his stomach a little from his hunger. Once he finished his small meal, he suddenly began to feel strange. He started seeing bright flashes of different colored light, his world suddenly twisting and turning and morphing into a giant blob of modern art. As this happened, a shock coursed through his veins, amplifying the effect of whatever was in those pills. What seemed like forever in this horrible nightmare of strange images, finally subsided as he passed out onto the ground. Waking up onto the same lab table meant for large subjects, he saw John sitting by a computer, typing something in a document. "All preparations are complete now. You must be wondering what sort of dastardly, sick thing I'll do next?!" He laughs out as he walks toward his desk. "See this flower? It's DNA will be your present for today, it is called the Datura stramonium or what I personally like to call it, the Devil's snare." He continues talking about the plant about it's hallucinogens and deliriant properties. Too much of a dose of it would kill a normal man! "So that's what you had Eve had me eat before I got here? You snake!" He yelled out but couldn't produce any methane or extend out his horns, probably due to the pills. "She had something similar? I'll have to speak to her later about that. No matter, I want to see your reality broken, shattered to pieces with this!" He reveals the syringe containing the Devil's snare DNA. John grabs App's head and pushes it to the side and sticks the needle into the back of App's neck. From John's view, he only hears the agonizing scream of 195 and his body spazzing uncontrollably. However, it's a different story in App's mind. Just like before when Eve gave him those pills, bright neon lights flashed repeatedly, forming strange imagery and gradually transformed everything he saw. Fire began to spread everywhere around him, and then he saw what seemed like a figure of a deer or some animal like it. The shadow was walking towards him, then somehow growing larger, looking more humanoid and menacing. Hiding behind the flames, this thing then send out a wave of flames after him. All went black within an instant. After the incident with 666, Sodi was shaken to his core with fear. He felt bad for not talking to 462 more when he ran into him, but Sodi was too terrified of what he’d witnessed to hold a conversation. Plus, there was the fact that he’d channeled electricity. That was new. Sodi made his way over to the northern, more mountainous section of the enclosure, as far away from where 666 had been. Every so often, Sodi would see one of the other experiments. When that happened, he would stop and blend into the surroundings until they moved away. Right now, Sodi needed time to think, and talking to the others wasn’t going to allow him to do that. What happened to 666? When did Sodi gain the ability to channel electricity? And, most importantly, how could he use this new found ability? These three questions circled around Sodi’s head as he wandered through the enclosure. As he finally reached his goal, he was met with an exhausted sigh that made his skin crawl. He turned to face it and found himself staring at Eve, who was already pulling some of the disgustingly tasting food pellets that was his evening meal. She tossed the pellets infront of him, and Sodi suddenly realized just how hungry he was as he fell to his knees and immediately began eating them, chocking back his gag reflex just so he could finally get the food down. He hardly noticed that one of them was slightly different from the others until its effects kicked in. Suddenly, his vision flew out of focus and he began having a dizzying headache. “Right, shoulda warned you, Dr. R. needs you for an experiment today,” Eve said with a crooked smile before snapping her fingers. As she did, a containment group picked Sodi up and placed him into a transfer container. Sodi could see her mouth opening and closing, but none of the words made any sense. To him, it seemed like a bunch of jumbled sounds. He barely even recognized the difference in the lighting when he was taken out of the enclosure to another testing facility. John made his way through the facility a few sublevels above the main enclosure. He knew Dr. R was scheduled to experiment on 404 that evening, along with most of the main experiments, so he decided instead to check on his other pet project. As he made his way down, he used his datapad to check 404’s DNA remotely. Specifically, he was looking to see when the parts he had planned to implement in the DNA code would react. Oddly enough, none of the Myxini Hagfish DNA had triggered yet. This was surprising, considering 404’s unusually high reception to DNA implantations. It was a miracle ALPHA had been able to track down 404 after his parents went through a lot of trouble to hide this from them. Not every ALPHA member liked the projects that went on there, especially when the group turned inwards for experimentation. The elevator reached its destination and John quit reminiscing on 404 and what he would help him accomplish. Instead, he had to look to his other prize project, 403. As he walked into the lab, one of the technicians approached John. John waved a hand in the air. “Dr. R wanted to check on his experiments, so I had more free time than expected,” he said as he and the technician made their way to a row of human sized tubes filled with liquid. Only one held an occupant, the one on the far end, currently surrounded by a handful of other technicians who were taking notes and slowly rotating around the container. “How is 403?” John asked, not really caring about their wellbeing. “Very well!” the first technician responded. The technician opened his mouth to ask another question, but one look at John and the technician knew that would be unwise. Instead, he joined John in looking over the frail figure that was slumbering within the container. Raphael was pacing back and forth near the rock he originally was sitting on. He couldn't stop thinking about what he heard. First the girl, and now this?! What's going on here? He started lashing his tail back and forth out of frustration. "Ah, there you are!" Eve's shrill voice rang in his ears. "It's time for another adventure!" She said laughing. Two hands, probably not Eve's, harshly grab Raphael's waist and lifts him as easily as a tooth pick. They seemed to carry him out of the enclosure and into one of the experiment, or better known as torture, chambers. Raphael was carelessly dropped to the floor, and pain welled up on the side of his leg where he landed. "Alright, let's see how those acid powers are coming along." Raphael heard the squeaky sound of a chair spinning around the the quick, clicking of a keyboard. The sound was muffled by a glass barrier as Eve forgot to use the intercom. "What does it matter to you anyways?" Raphael bitterly mumbled. Sirens blared off as something else entered the room: Raphael's opponent. It was an animal of some sort that hobbled on the ground in rhythmic movement. Raphael perked his ears and unsheathed his claws. It was either him or this beast. The beast had wings, clearly, as he felt the wind around him pick up. Feathers also ruffled as they caught the wind. "Your job is to kill experiment 624 here. Quite a sorry soul...the DNA we injected is slowly being reject by it's body." Eve tapped her foot. "It's strange Dr. R neglected to put this one down. No biggie, though, that will be your job. Put it out of it's misery." ...."Don't do it..." The voice resonated in Raphael's head again. "Please... Don't be the monster they made you...." How do you know I'm in an experiment right now?! Raphael thought to himself. "I'm sorry..." Raphael started running fast, picked up enough speed and then made his way to the wall, however, his leg still throbbed with pain. He edged near the wall and he used his momentum to jump on the wall, running on it. Climbing the wall in a sideways fashion, Raphael made his way to where the experiment was flying by listening the beat of the wings. He smelled the fear scent that was emitted from the creature. Raphael launched from the wall and dug his claws into a tuft of feathers. The experiment and him went crashing to the floor, which didn't help his already injured leg. Grunting Raphael let go and retreated a few steps. "Raphael.....please...." The voice come from across the room this time. "Why couldn't it have been me instead.." Raphael heard heavy breathing. A ruffle of winds indicated the experiment had picked itself off the floor. He noticed throughout the fight they wasn't fighting back. Raphael noticed his claws had dried quickly due to the wind, so the experiment wasn't poisoned like planned. But, this was it, the voice from his head! How he wondered why he met them so soon. "Who are you?" Raphael kept his distance. "Give me one good reason why I shouldn't fulfill my duty." He decided to take a cautious approach. "Because, Rapahel...I only wanted to protect you...as your brother." The word stuck in Raphael's head for a long time. It was finally someone who Raphael could maybe one day call family. He didn't realize how long he stood there until Eve's voice rang out over an intercom. "Experiment 462, you have five minutes to eliminate your target." Her voice indicated irritation. Raphael approached the experiment, ignoring Eve. "I wish there was a better place we could talk. I need to know more...about this place...and you..." He crossed his arms and turned to where Eve's voice was coming from. "It looks like you disobeyed us. As punishment, you will be getting different food than usual." Eve slammed her laptop shut with a large bang. The glass must of been soundproof since she made no reaction to 624's comments. Raphael heard the solid steel doors open to the chamber and the familiar hands grabbed him and lifted him up. The other experiments were usually carried in carries but since Raphael was blind, they took less caution with him. "Wait?!" Raphael suddenly said, "What is your name?!" "Should we take him to a more sterile location Doctor?" The female voice echoed in Zero's head. "No no no my dear, not at all, this location is perfect. I sense something within 666, like when he is in the enclosure bad things will not happen. I want him to know I can do what I please when I please." The voice was definitely Dr. R's. Zero began to open his eyes, he was tied across a large rock next to the river he collapsed at. His tentacles screamed in pain as massive iron rods jutted from them, stabbing them into the stone and ground. He tried to move his head left and right but it was tethered down and impossible to move. His hands were hooked to several areas of the large rock. All he could do was stare up at Dr. R and his entourage. Dr. R saw Zero's eyes on him. "Oh, our patient is awake, time to start." Dr. R smiled in a way that made Zero cringe. "You broke your visor, and now I had to come up with something new." Dr. R snickered as he held up a spoon that looked like a small ice cream scoop. "I was eating my morning breakfast... honeydew is easily enjoyed with a melon baller." He tapped the spoon to get zero's attention. "Then I thought, if it works this well with a melon, then by golly it will be perfect for scooping out your eye." Zero's eyes widened, for once he felt afraid. His breathing increased. Dr. R smiled more horribly than ever, he looked towards one of the others and nodded. "Do it now." Zero felt pain shooting through his whole body suddenly, it was immense but for once he felt his limbs, all of them again. The inhibitors were off. Zero was himself, and his name wasn't Zero or 666... it was... suddenly the visions hit. Each murder he committed came flooding to him, all the times the Dr. had used him to do his dirty work. It was intense... horrible... monstrous. Zero looked into Dr. R's eyes and asked in a quivering tone. "How many did I condemn to these experiments?" Dr. R stopped for a moment, he was playing with a mechanical eye that had long mechanical tendrils that seem they wouldn't fit into an eye socket in any way. Dr. R looked him dead in the eyes and muttered in a whisper. "All you did was kill their families, stop trying to take credit for my genius." All thoughts and horrors quickly faded from Zero's mind, as the Dr. began the operation. Zero watched his eye being scooped and pulled from its socket, along with all the pain. Finally with a snip his vision blacked out from his left eye, only his right remained, watching the Dr. toss his torn eye into the river next to him. Blood flowed through the river as the operation continued... despite the screams. Adel didn't know what to do anymore. She was an experiment, trapped and left here. She was wandering by, when she saw Caspian. "Oh.....pardon me," she just plopped down on the ground, "I don't know what to do. Nothing seems right anymore." She watched as Sodi was placed back into the environment.She didn't feel anything watching him, just dread. Dr. R.'s men came and grabbed Caspian. Adel looked at them drag Caspian away, her eyes and heart emotionless. She took our her claws and cut herself, watching the blood drip down onto the grass. "Good, you brought it to me," Dr. R. grinned, "Now the fun can begin, feed it this pill." Eve took the pill and gave it to experiment 111. Dr. R. laughed as she shoved it down his throat. He struggled to try to break out, but he just couldn't. "Now for the test - Let's burn him....and she how his sense of smell reacts to it!" Dr. R. had experiment 111's hand placed into a chamber. It slowly began to burn......Dr. R. laughing at his shrieks of pain. He analyzed the results. When 111's hand was removed, there was certainly damage, and his hand was bright red. He tested 111's DNA after the test. These particular cries of pain made Walt curious - and he left the coffee machine to find the door Dr. R. forbid him from opening. But if someone was in trouble, Walt had to help! Walt opened the door to find a habitat full of children that were half animal, half human. "Oh my god.....why are you all here.....who put you here....this has to be a mistake!" He shrieked, running out, "I have to tell someone about this! This is....illegal!" I'm not really sure myself, but I'm working hard every day to define who I am and what I want to be in life. It's funny how things start out. One day I was walking home from school, and I saw (my now-uncle) Floyd was passing by. I saw the military symbol on his jacket, and I approached him. "Wow! Do you work for the military?" I asked him with a smile. "Yes I do! I fly people places, but I'm also a mechanic. I started there and worked my way up. Are you interested in joining the military, it's not like those Call of Duty games ya'll play, y'know," Floyd replied with a cheerful grin. "I was wondering if you guys do any kind of research to help people - I would like to make this world a safer place for everyone!" "Maybe one day, kid, maybe one day. You got a long way to go before you can help others, from school to taking care of your family," Floyd replied. And so, every day I saw Floyd walking home from work. I would tell him about myself and my grades. I told him about my friends and my parents. My nickname was Rev at school, but I told him my mother didn't like it. I also told him about how it was my dream to work for ALPHA and anyone I've met from ALPHA was the smartest people I know. I told him everything, and he would always smile and listen. "Y'know, I think we are the same. Why don't you come live with me for a while? I can teach you how to do a lot of things you can't in school." "What would my mom think?" I blinked. "It doesn't matter what she thinks. You're a bright kid, Rev....and I think we should become friends. You can call me Uncle Floyd. I've been asked to do some research to help people..I'm working with ALPHA.....and I want your help. If our project is successful, we can help a lot of people! And perhaps you can meet more people from the company you aspire to join!" And so, I followed him. I began to use my knowledge to help him analyze data and solve equations. In the meantime, he taught me how to point a gun and fight like a military man. But Floyd was always busy, and soon he became one of the most acclaimed heroes in the workforce for his intelligence and direction. He told me that if I wanted to help people, he needed me to partake in an experiment. "It won't hurt you. All you have to do is take these pills every night," he said, "about half of your DNA is perfect - the other half, not so much. I will be able to change you to be smarter, stronger, and braver if you let me manipulate your genes. I can make you the perfect human being."